It is a well-known fact that Springfield is the third town to serve as capital of Illinois after Kaskaskia and Vandalia both held the distinction during the state’s early days, but did you know Abraham Lincoln’s role in changing the location of Illinois’s capital city? 180 years ago this spring, State Representative Abraham Lincoln and the eight other legislators representing Sangamon County convinced their colleagues to support moving the Illinois state Capital from Vandalia to Springfield. When the state was first settled, much of the population was concentrated in southern Illinois, so the territorial capital was in Kaskaskia. As the population shifted to the north over time, the capital was moved to Vandalia. The legislature specified that Vandalia was to remain the official center of state government for 20 years, as lawmakers knew that people would continue to settle in northern Illinois. For many children around the country, March 6 was just another day of the week growing up. For many Illinois children, however, it was Casimir Pulaski Day, which celebrates the life and legacy of Polish Gen. Casimir Pulaski. Pulaski fought in the Continental Army during the American Revolution and became known as one of the “Founding Fathers of the American Cavalry”. Pulaski Day is a particularly important holiday in Chicago, where almost 200,000 Chicagoans are of Polish decent, one of the largest Polish communities in America. Additionally, Polish is the third most commonly spoken language in Chicago behind English and Spanish. For more information about Casimir Pulaski and the other contributions Chicago’s Polish community has made, visit the Polish Museum of America’s website. The first blood bank in the United States was in Chicago at Cook County Hospital (now Stroger Hospital). Hungarian-American doctor Bernard Fantus founded the blood bank in 1936. World War I increased demand for blood transfusions. Prior to blood banks, whenever a patient needed blood doctors had to find a donor with a matching blood type immediately. To solve this problem, Dr. Fantus sought to find out if blood could be preserved for longer than a few hours and discovered that blood could be preserved for ten days. This led to key advances in modern medicine as doctors were now able to perform surgery and save lives more easily than they had in the past. 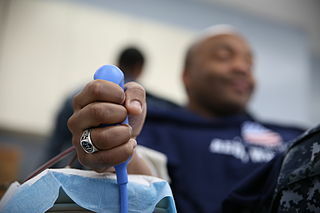 In its first year, 1,354 blood transfusions were performed at the Cook County Hospital Blood Bank. The creation and success of the first blood bank in the U.S. led to the opening of thousands more across the country. Each year, 6.8 million Americans donate blood, and more than 20 million blood components are transfused. Since 1936, countless lives have been saved because of Dr. Fantus' work. The famous baked goods company Sara Lee got its start in 1935 when baker and entrepreneur Charles Lubin and his brother-in-law bought a small chain of Chicago neighborhood bakeries called Community Bake Shops. The stores grew in popularity and increased from three to seven. Seeking more business ventures, Charlie parted ways with his brother-in-law in 1949 and named his chain of bakeries after his 8-year-old, daughter Sara Lee. The company had operations in more than 40 countries and sold its products in over 180. Sara Lee’s roots remained in Chicago after being bought by Nathan Cummings in 1956, a Canadian-born American and philanthropist. He acquired multiple businesses, one of which was a leading wholesale grocery company in Chicago (Warner & Co.). In 1956, Cummings’s Consolidated Foods Corp. purchased Sara Lee. Ernest Hemingway was born July 21, 1899, in the Chicago suburb of Oak Park. His father, Clarence, was a physician and his mother was a former opera performer. Growing up, he spent many summers at his family’s home on the banks of Walloon Lake in Michigan. He attended high school in the Oak Park public school system. He began writing while in high school and upon graduating, he moved to Kansas City to be a reporter for the Star. Less than a year later, he began serving in World War I with the American Red Cross as an ambulance driver. During his service, he was injured on the Austro-Italian front.